Making football picks is all about getting the right information. That’s why using reliable fantasy projections can help you beat the odds with your NFL player props. Top handicappers invest a lot of money scooping up as much (quality) knowledge as they can. They hire teams of sports journalists and data analysts to do much of the grunt work. So can you, if you’ve got the cash. Or you could get most of that information for free. There are plenty of websites out there busily churning out advanced stats and publishing them for everyone to use. “Everyone” in this case refers mostly to two groups: People who bet on sports, and people who play fantasy sports. There’s a lot of overlap between these groups, especially when it comes to the NFL player props market – which is heating up in the last weeks before the 2017 regular season. As Benjamin Franklin once said on his Twitter feed, an investment in knowledge always pays the best interest. Making sharp football picks is all about getting the best knowledge and using it, correctly, in a timely fashion. In case you’re new to betting on NFL player props, click here to read up on QB props, easily the most popular of these bets. 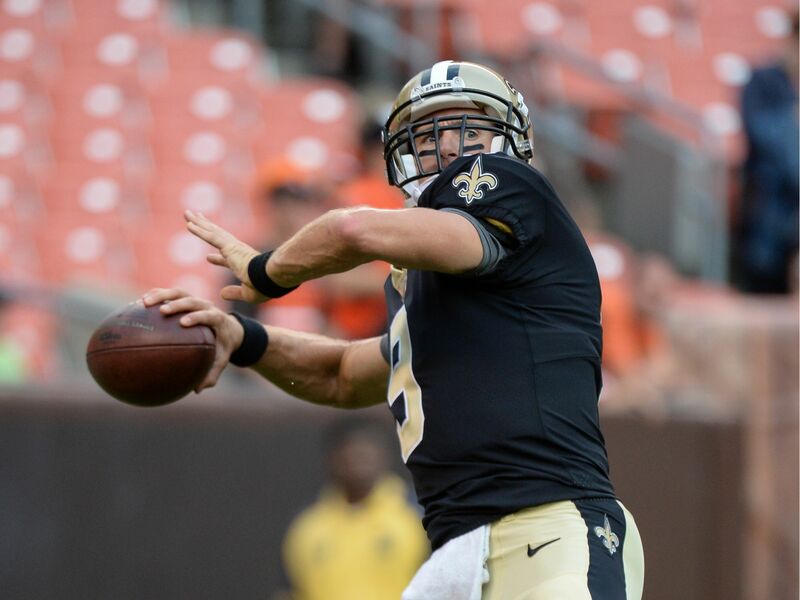 We showed you how you can use the DVOA (Defense-adjusted Value Over Average) stats at Football Outsiders to help you find undervalued quarterbacks; these commodities are usually available at a bargain price, both for bettors and NFL general managers. Now let’s turn our attention to the fantasy stats. Millions of people across the country are putting together their NFL fantasy teams right now, and their thirst for information drives a huge media presence dedicated to fantasy football drafts. These intrepid football nerds have crunched the numbers and projected which players will shine most brightly in 2017. You may be using some of this information right now to put together your draft list. But have you tried comparing these projections to the odds on the props market? Right away, we can single out Rodgers as being way too overvalued in the betting market. The former MVP has never won the league passing title, but he’s a fan favorite, and so are his Green Bay Packers. You’ll have to pay a premium if you want to throw some cheddar at Rodgers; the fantasy projections have spoken. The tricky part is figuring out which of the remaining options has the most betting value. Again, if you’re a top handicapper, you’ve got stat nerds to help you with distribution algorithms and such. But for the rest of us, at least we can see that Ryan is obviously a better bet than Brady, given how close their projected results are. And we can forget about taking Oakland Raiders QB Derek Carr (+800), who projects to finish 13th overall with 4,083 passing yards. Use these simple tricks to narrow down your choices on the NFL props market, and you’ll do a better job of picking a winner without having to pay through the nose.